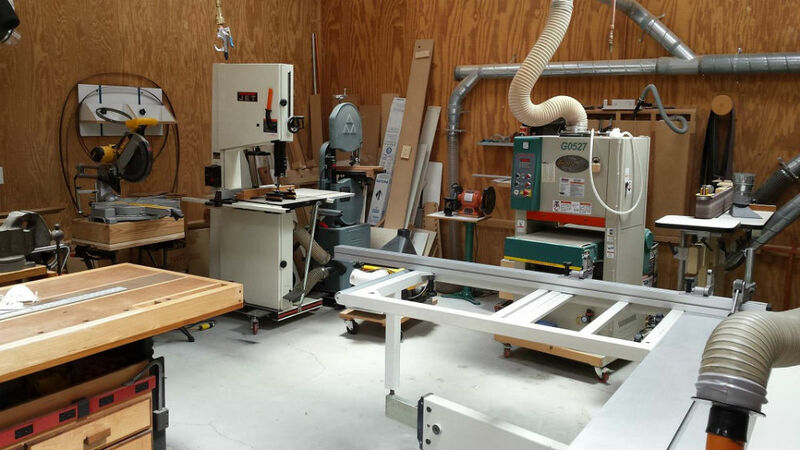 My Woodshop is approximately 600 Sq ft in size, 21 Ft x 29 Ft. I built the largest sized shop that the city codes would permit, and for the amount and size of machinery I have it is just barely adequate. The shop exterior is the usual strand board covered with Hardy Plank siding. The interior is 3/4" dry wall with 3/8" plywood panels over that to aid in exterior sound reduction and hanging stuff on the walls. I've never had a complaint from neighbors about machinery noise! 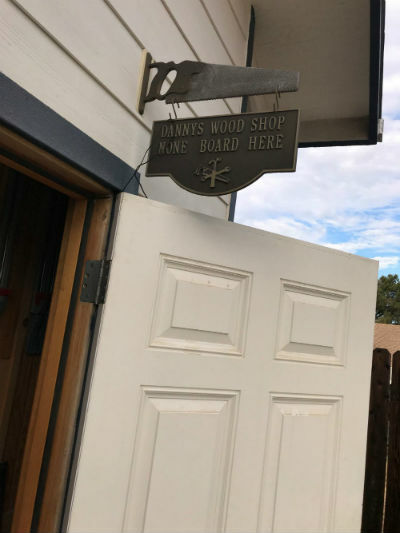 Woodworking began for me about 35 years ago. I was looking for a crib size mattress bed and couldn't find one so I bought some redwood lumber and made one. I enjoyed the experience so much that I decided that woodworking was going to be my hobby. I started purchasing woodworking magazines and tools and just starting making things, so I learned most of what I know through first hand experience. I built my shop just a few years before I retired, as a UPS delivery driver in 2005, so I would have something to keep me busy. The MiniMax (A division of SCMI) panel saw capable of cutting 4' x 8' sheet stock takes up a lot of room so my shop is a little on the full side. I agonized over that purchase for a few years before I pulled the trigger, but I've never regretted it since. They are expensive but they pay for themselves very quickly with the amount of time you save. 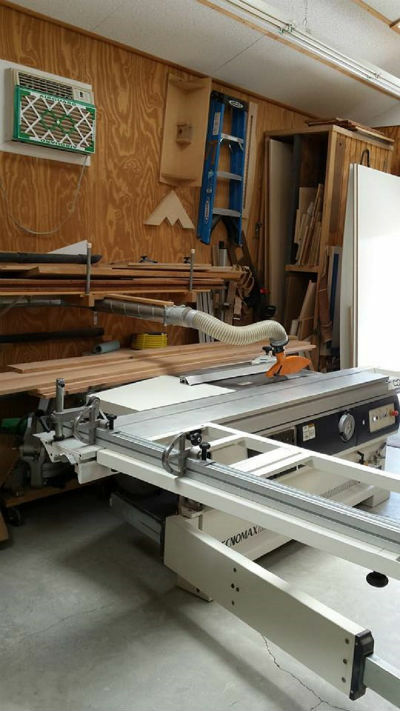 If you're doing any amount of carcass cutting it's much faster, easier and more accurate with a panel saw than any other method, except of course a CNC machine, which most shops are migrating to now. Panel saws also have a scoring blade positioned in front of the regular blade that prevents any tear out when you're cutting plywood or melamine board, which is another advantage of having the panel saw. The sliding panel saw is positioned right as you enter the shop so I don't have to carry stock through the shop for processing. 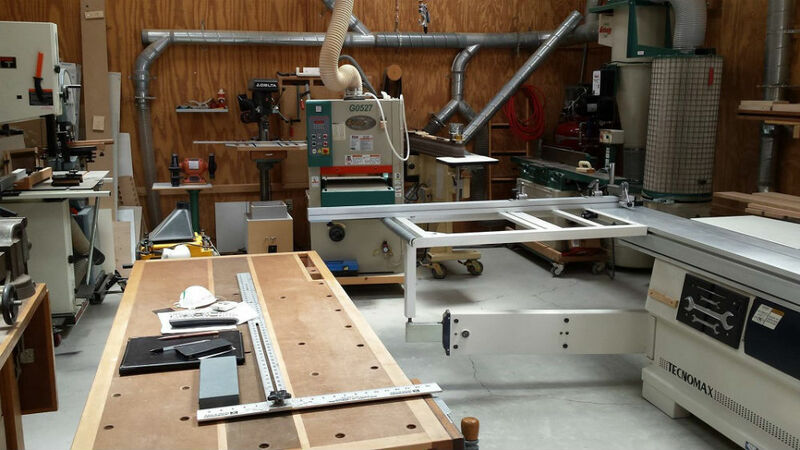 Longer board stock is shelved just above and to the right of the saw for easier access. And my sheet stock is stored in a vertical 9' mobile storage bin just behind the panel saw, which I can do because the walls in my shop are 10' high and the ceiling is vaulted. I have no windows in my shop because I value my wall space for hanging tools, accessories etc. To bring in the natural light I installed six 2'x4' glass skylights. For night work I have eighteen 4 ft daylight fluorescent fixtures. Just forward of the panel saw lies a Grizzly three HP whole shop dust collector, which works beautifully in containing dust with metal duct runs to all machines. To the left of that I have a Grizzly 3 HP 8" Jointer with a spiral carbide cutter. Further left lies a 109" Ritter brand edge sander, then a 18" Grizzly wide belt sander, 2 HP Jet variable speed drill press, Delta 3/4 HP 12" band saw, Jet 19" 3 Hp Bandsaw for resawing, finishing off with a Dewalt dual beveling 12" sliding miter saw. 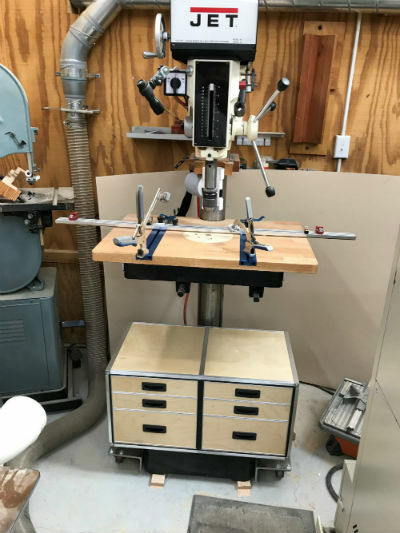 I also have another 4 various miter saws (two of which are metal cutting units), 6"x 48 inch Central Machinery sander, Delta Midi Lathe with extended bed and a Dewalt scroll saw, finishing off my machinery cabaret in the workshop. 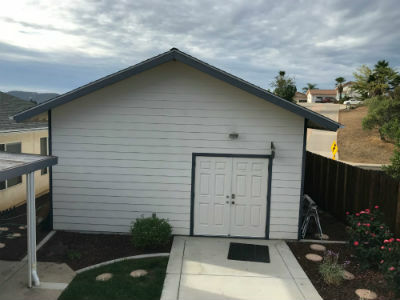 Due to space I have placed my newest model 10" Delta Unisaw in my regular garage attached to our home. I use it for cutting the smaller stuff and for dado work. My workbench base is a Noden adjustable height unit fitted with a top made of four, 3/4" Baltic birch plywood sheets glued together in a commercial glue press to ensure flatness, which is also capped top and bottom with a 1/4" tempered hardboard for wear and ease in repair, which makes the working top a total of 3-1/2". All that is trimmed with a 1-3/4" thick edge of maple with some Walnut trim below. The top is heavy, it took six guys to lift it up to mount on the base. 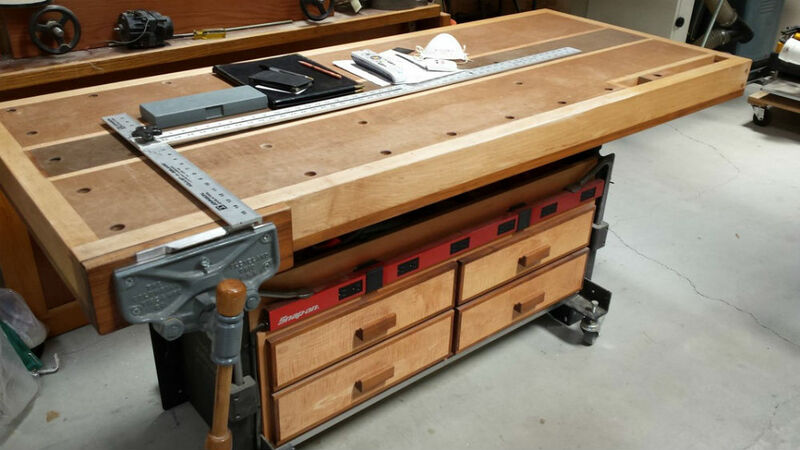 Workbench drawer fronts are made from soft tiger maple with a Walnut edge trim. They say you can never have enough clamps and I've got a lot of those, pretty much of every style and size made. Another hobby I have that fits nicely with my woodworking is writing tool reviews. 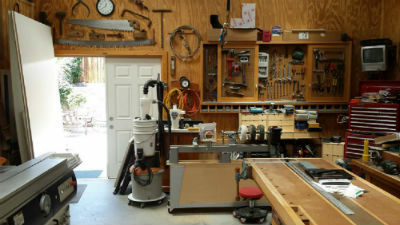 I've submitted and have had published nearly 400 tool reviews of both hand and machinery tools that I own and use for Wood Magazine and many other reviews for Amazon, Home Depot and Lowe's. I'm pretty much in retirement now and no longer do paid cabinet jobs, so from here on out any projects or commission's will be just for myself and immediate family. You can email Dan at upsmandan@gmail.com.